Autumn is definitely here. It was much cooler today and here I am covered in a blanket cause it's still too warm to have the heater on. Not sure I'm ready for fall as yet. Today we ate an apple cinnamon donut bought at a local farm, and got Fuji apples and a buttery pumpkin, which we promptly cooked in a Thai curry. Yum! Last Christmas in Paris by Hazel Gaynor and Heather Webb, October 3, 2017, courtesy of William Morrow. 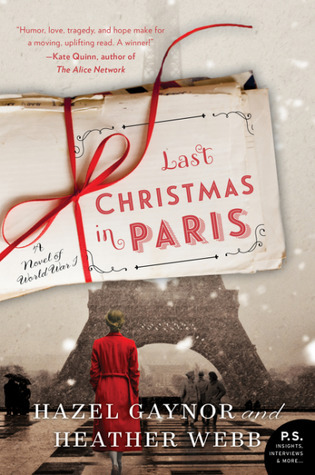 An historical romance set in 1914 during the Great War, and 1968, Two friends write letters to each other over the years but the war and its aftermath prevent their reunion. 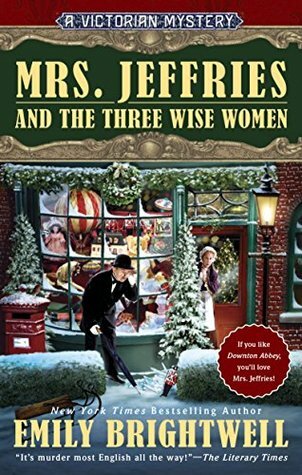 Mrs. Jeffries and the Three Wise Women by Emily Brightwell, October 17, 2017, courtesy of Berkley. A man is shot under cover of fireworks at a Guy Fawkes party. 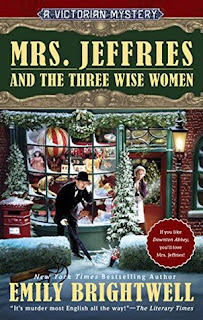 With Christmas almost here, Inspector Witherspoon and everyone in his household is upset at the possibility of having to cancel their holiday plans—all to solve a case that seems impossible. 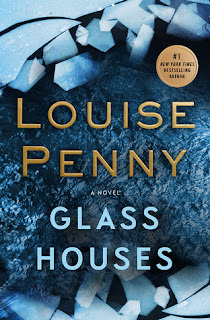 by Louise Penny and gave it five stars, as I have all the books of hers I've read in the series. The first half of the book seems a bit slow, setting the stage for the second half of the book, which is riveting. 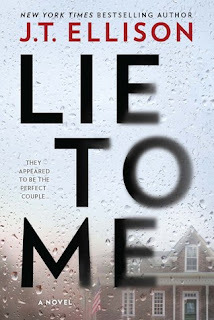 I recommend it for mystery lovers. 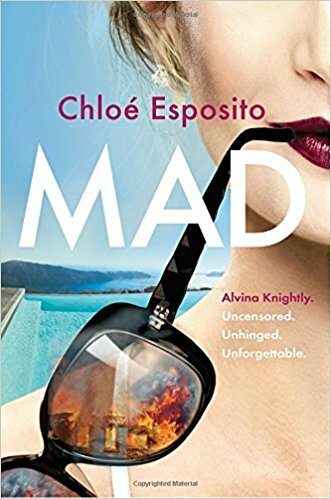 Mad: A Novel (Mad, Bad and Dangerous to Know Trilogy) by British author Chloe Esposito, June13, 2017, Dutton. I was intrigued by the book description: .... 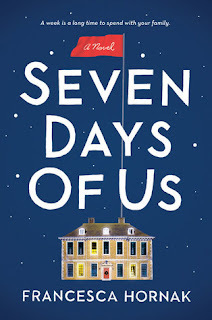 In this debut novel, set between London and Sicily over one blood-drenched week in the dead of summer, an identical twin reveals the crazy lies and twists she'll go through to not only steal her sister's perfect life, but to keep on living it. My reading of the book so far: The twin in question is unfocused and scattered, in debt, and without much hope or plans for the future. The description of her through her actions, words, and behavior is alarming yet amusing and makes me want to read on! What's on your reading plate this week? Visit The Sunday Post hosted by The Caffeinated Bookreviewer. Also visit It's Monday, What Are You Reading? hosted by Book Date Also visit Mailbox Monday. A sweetly scented breeze blew along Cherry Blossom Street. Sentaro stood over a hot griddle inside the Doraharu shop, as he did all day everyday, cooking pancakes or his dorayaki. Cherry Blossom Street was a run-down commercial strip in a depressed part of town, a street more notable for empty shops than the cherry trees planted sparsely on either side. Today, however, perhaps because the flowers were in full bloom, there were more people about than usual. Sentaro looked up to see an elderly lady in a white hat standing on the roadside, but immediately turned back to the bowl of batter he was mixing. He assumed she was looking at the billowing could of cherry blossom on the tree outside the shop. "What kind of food do you like to eat, boss? What's the local specialty in Takasaki?" I saw the movie based on this book on Netflix and really liked the story of a down-and-out, handicapped older woman who is given a job making dorayaki, a sweet pastry of pancakes filled with bean paste. She helps the struggling owner of the failing shop to attract buyers with her delicious recipe and cooking. But she hides a secret that will be a huge problem for her and for the shop owner, Sentaro, as time goes by. The characters and plot are heartwarming and unexpected. A very enjoyable novel. First Chapter, First Paragraph is a weekly meme hosted by Bibliophile By the Sea on Tuesdays. Join in by sharing the first paragraph of a book you are reading or plan to read, and linking up on the website. Paul Johns hadn't seen another human being in six days. He emerged from the Amazon rainforest, tired and sore, but exhilarated, the sudden brightness bringing a smile to his face. The river sparkled, a vast body of water several kilometers across, even this far from its mouth. Ahead stood a riverboat station, little more than a few rotting benches and a sign propped against an ancient wooden dock. The sign listed the boat pickup schedule, in Portuguese, Spanish, and English, the words faded and water stained. A dozen or more tourists sat on the benches or milled around nearby, waiting for the boat. Seeing them felt like spotting a rare animal in the brush. Paul's first instinct was to approach quietly, lest he startle them away. In the Amazon jungle, a disease is spreading. To those who survive, it grants enhanced communication, memory, and pattern recognition. 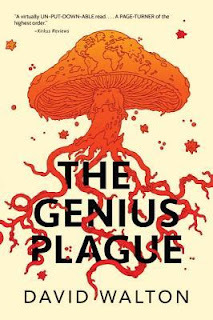 But the miracle may be the sinister survival mechanism of a fungal organism, manipulating the infected into serving it. Based on the beginning and the description, would you keep reading? It's Monday: What Books Are on Your Desk? Here's what's new on my desk this week. I finished reading Glass Houses by Louise Penny, another five star read in the remarkable Inspector Gamache mystery series. Mama no dice la verdad. It's nice to brush up on my languages, with the help of online dictionaries. Visit It's Monday, What Are You Reading? hosted by Book Date. Also visit Mailbox Monday. This is the 13th in the series but it doesn't let you down. It's so good that the book is hard to stop reading, and it gets better toward the end. The people of Three Pines pull you into their little world, as usual, but when criminal events begin to encroach into the lives of the secluded village where Chief Superintendent Gamache of Quebec and his wife Reine-Marie live, the sparks really begin to fly. There is an unknown person in a Death costume standing on the village green for three days or so, who doesn't speak or tell anyone in the village why he is there. He appears threatening, and the villagers become uncomfortable with his presence there. Later on there is a murder, and suspects begin to surface among the visitors and newcomers to the village. I won't give the plot away, but it's suspenseful and takes you where you least expect; the characters are as entertaining and as colorful as in the previous twelve books; the Chief Superintendent and his second in command, Beauvoir, hold your interest as they plan to take down dangerous criminals that threaten their province and personal lives. I really enjoyed this and think its one of the best in the series. It can be read as a stand alone book, of course, for those who have not read others in the series. Highly recommended for mystery lovers. Meme: Welcome to the Sunday Salon. Also visit The Sunday Post hosted by The Caffeinated Bookreviewer. The light of a full moon illuminated the couple huddled around a rusty oil drum in the center of the township. The trash fire in the barrel doubled as a source of warmth and as an oven for roasting corn.Behind them was the storage container they called home. A good space. Unlike most of the neighboring shacks, it had a metal roof instead of tarpaper. More resistant to wind and floods. Just beyond the township lay the gentle swells of wine country. Golden fields and sprawling manors steeped in the wealth of the old Boer families. The inequalities of life in the Western Cape used to motivate the couple, inspire nightly political discussions with their neighbors while quaffing sour umqombothi beer, but they no longer cared for such things. Solomon had drawn a single face for the sketch artists, the only person he could identify from his captivity. A modern day Dr. Frankenstein, probing the secrets of life and death. Two men racing against the clock to stop the spread of a horrific virus. 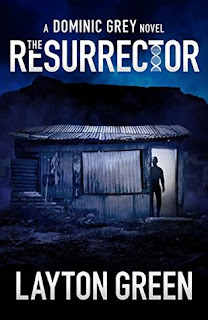 As the victims mount..., the world's only hope rests in the hands of Professor Viktor Radek and Dominic Grey, a broken warrior and a relentless professor, facing the darkest of forces. I'm definitely intrigued by the beginning and the setting of this one, having read other suspense/thriller/fantasy novels by Layton Green. 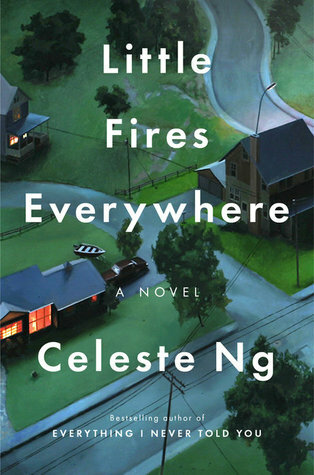 This is a story not only about Chinese-Americans but about adoptions, infertility, mother-daughter relationships, and teen angst. 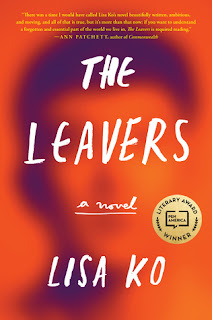 Set in an affluent suburb of Cleveland, Mia and her daughter Pearl arrive and hope this time this is a place they can stay after years of wandering around the U.S. But the adoption of an abandoned Chinese infant by an American family brings conflict to the town and involves Mia and her daughter. What happens when the mother of the child appears and wants her baby returned? I loved that the book involved so many different issues and themes. The characters are complex yet believable and the plot very revealing of human nature. 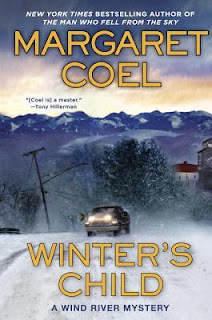 I highly recommend this novel for those interested in the above themes and those who enjoy good literary fiction. I am juggling ebooks and books right now, going from one to the other, from Kindle and Nook to the paper book. Too many books that are hard to ignore. 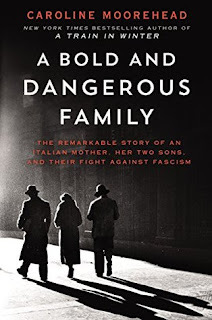 My comments: An interesting story with a theme about immigrants who come and go, in New York and China, and leave parts of their families behind in each case. Deming is raised by American foster parents after his mother disappeared from his life. What will he choose later in life - the American or the Chinese parents he was to eager to reunite with, both or neither? I found young Deming contradictory at times, but maybe that is the way the author wanted him to be. What are you reading this end of summer? This is the second novel in the Change of Fortune series, but it can be read as a stand-alone work, as most books in series can. Ruby Proulx has traveled to a seaside hotel owned by her aunt Honoria, in order to help out and also contribute as a psychic medium for guests. The hotel is visited by psychics and others interested in the supernatural, and part of the hotel's draw is its reputation for readings and other metaphysical events. A well known spiritualist and suffragette, Sophronia, comes to the hotel for an extended stay and mentors Ruby in her art. 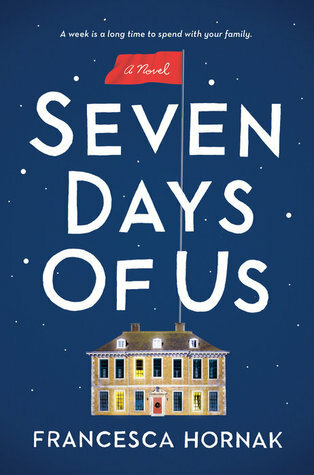 However, when a murder occurs nearby, Ruby finds herself helping solve the mystery and its connection to her aunt's hotel. The motive for the murder is one that is common in mysteries, especially earlier ones, but also in this one. Could it be fear of loss of reputation? I hope that tidbit doesn't give too much away. But the question of true motive remains a mystery as you read along. 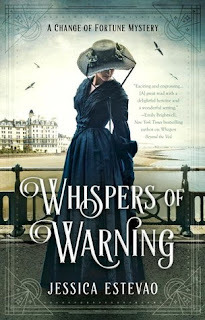 I enjoyed this unusual book's setting - the era of women's fight for voting and other rights - and I like that the supernatural aspects of the plot are not overwhelming. 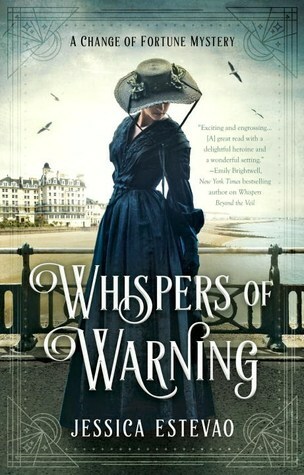 I am planning to read the first in the series, Whispers Beyond the Veil. The atmosphere of the suffrage rally had far more in common with a medicine show performance than the attendants would likely have enjoyed hearing. In my experience, crowds of people composed of some filled with hope and other with scepticism, create the same impression, no matter the subject of the gathering. Even the setting was similar.... I felt oddly at home and deeply uncomfortable all at the same time. Heavy velvet draperies hung alongside the long, mullioned windows. The wallpaper provided diners with a sense that they were seated in a fairy-tale aviary. Sunday Salon: TV or a Book? It's not as if I don't have any books to read. I have too many. But I went to have coffee in the bookstore and came out with two novels I couldn't resist. I have started this and am fascinated by the young boy born in New York but raised till age six in China by his grandfather, whom he misses when he finally joins his mother in New York. His mother later leaves him suddenly and unexpectedly with friends in the city. How he grows up with the experiences of being left behind, and how he perhaps or perhaps not seeks out his mother again is the overriding question. I couldn't resist another psychological thriller. There seems to be so many being published recently and is now a popular genre for many readers. This one involves someone who disappears from a testy relationship. 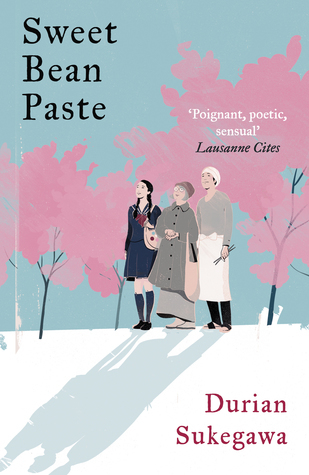 I saw the movie based on this book on Netflix and really liked the story of a down-and-out older woman given a job making pancakes filled with bean paste. She helps the owner of the failing shop to attract buyers, with her delicious cooking. But she hides a secret that will be a huge problem as time goes by. 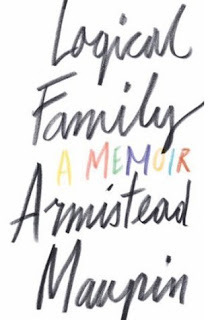 I loved the author's first book, Everything I Never Told You , and am looking forward to this new one. She presents complex situations involving Chinese-Americans in American environments. 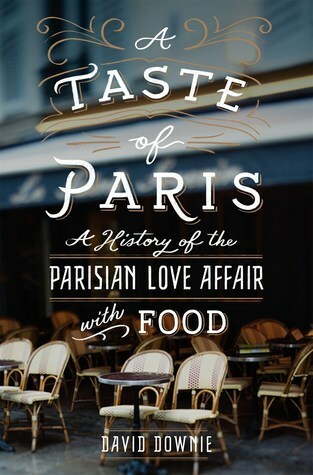 Described as "a culinary history" of Paris, this book is one of several books on Paris and France by David Downie, an informative, entertaining, and well researched writer. 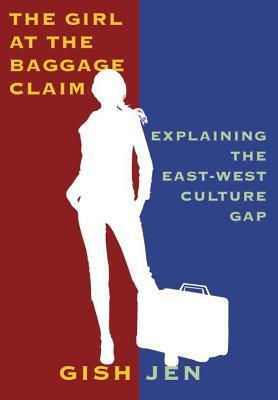 I'm looking forward to the author's ideas in this study of the differences between East and West in perceptions of the "self and society" and how these differences affect education, art, geopolitics, and business. 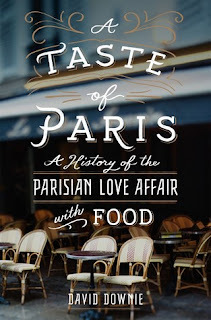 I finished reading The Little Paris Bookshop by Nina George after reading her The Little French Bistro and The Widows of Malabar Hill, a new historical mystery series set in India, by Sujata Massey. Reviews later in the month. I have been taking a break from watching Irma on TV and wishing the best for friends and family in Florida and Georgia. Luckily, the people I know live on the Florida east coast, where Irma seems to be having a slightly less of an impact, fingers crossed. What are you reading or have you been glued to the TV? 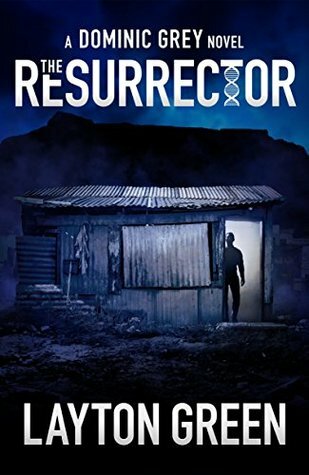 Arapaho attorney Vicky Holden and Father John O'Malley discover a centuries-old mystery tied to a modern day crime on the Wind River Reservation. Plot: An Arapaho couple hire an attorney, Clint Hopkins, to help them adopt a child they had been caring for over five years. The child had been left as an infant on their doorstep and the couple had taken her in. But while working on the adoption case, the attorney is killed in a suspicious hit-and-run, and Vicky Holden steps in to solve a crime involving the past and the mystery of the child. My comments: The book has an intriguing and suspenseful plot. It appears to be a straightforward request from the lawyer, Clint Hopkins, to Vicky, asking her to be a cocounsel in the adoption of a five-year-old girl by an Arapaho couple. But the case quickly involves murder, and Vicky is left on her own to solve the mystery. The ending, which I won't give away, is not a clear cut solution, but realistic. Snow had fallen all day, dense cotton fluff that cocooned the brick bungalow in a white world and obscured the small sign: Vicky Holden, Attorney at Law. Now the snow dissolved into a white dusk as Vicky drove through the side streets of Lander, tires bumping over ruts and ridges. The heater kicked into gear, and warm air streamed into the frosty cold that gripped the Ford. She hunched over the steering wheel. She was late. "Come on, Uncle John." She stopped in her tracks and was looking up at him. "No one in my generation believes in fairy tales. Ever after just doesn't happen. It never did, really. Your generation was the last to cling to that belief...."